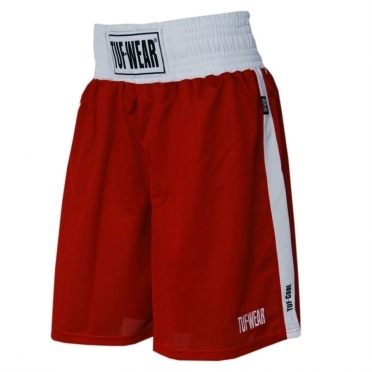 These boxing shorts are made of quick drying polyester, the moisture will be absorbed quickly and the material will dry fast.These aspects provide a lot of comfort with boxing but also during trainings.The (kick) boxing shorts are available in three colors and in sizes XXS / XL. The Booster TBT-1 thai boxing shorts are made from 100% satin for comfort. The soft material ensures that the pants do not rub during training. The Booster thai boxing shorts takes little moisture and dries quickly. Furthermore, the thaiboxing shorts have a wide elastic band around the waist and have wide legs that make these pants great for giving kicks and knees. The Booster TBT-2 thai boxing shorts are made from 100% satin for comfort. The soft material ensures that the pants do not rub during training. The Booster thai boxing shorts takes little moisture and dries quickly. Furthermore, the thaiboxing shorts have a wide elastic band around the waist and have wide legs that make these pants great for giving kicks and knees. The Booster TBT-3 thai boxing shorts are made from 100% satin for comfort. The soft material ensures that the pants do not rub during training. 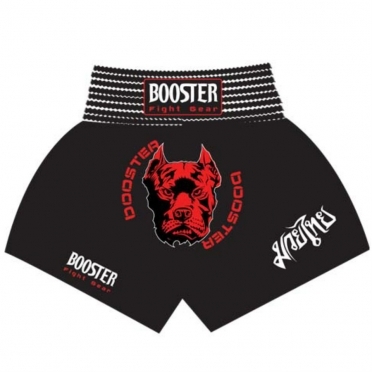 The Booster thai boxing shorts takes little moisture and dries quickly. Furthermore, the thaiboxing shorts have a wide elastic band around the waist and have wide legs that make these pants great for giving kicks and knees. The Booster TBT-4 thai boxing shorts are made from 100% satin for comfort. The soft material ensures that the pants do not rub during training. The Booster thai boxing shorts takes little moisture and dries quickly. Furthermore, the thaiboxing shorts have a wide elastic band around the waist and have wide legs that make these pants great for giving kicks and knees. The Booster TBT-5 thai boxing shorts are made from 100% satin for comfort. The soft material ensures that the pants do not rub during training. The Booster thai boxing shorts takes little moisture and dries quickly. Furthermore, the thaiboxing shorts have a wide elastic band around the waist and have wide legs that make these pants great for giving kicks and knees. The Booster TBT-7 thai boxing shorts are made from 100% satin for comfort. The soft material ensures that the pants do not rub during training. The Booster thai boxing shorts takes little moisture and dries quickly. Furthermore, the thaiboxing shorts have a wide elastic band around the waist and have wide legs that make these pants great for giving kicks and knees. The Booster TBT-8 thai boxing shorts are made from 100% satin for comfort. The soft material ensures that the pants do not rub during training. 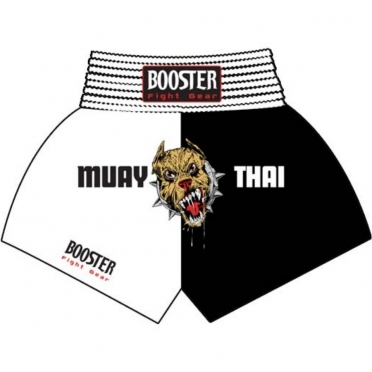 The Booster thai boxing shorts takes little moisture and dries quickly. Furthermore, the thaiboxing shorts have a wide elastic band around the waist and have wide legs that make these pants great for giving kicks and knees. The Booster TBT-10 thai boxing shorts are made from 100% satin for comfort. The soft material ensures that the pants do not rub during training. The Booster thai boxing shorts takes little moisture and dries quickly. Furthermore, the thaiboxing shorts have a wide elastic band around the waist and have wide legs that make these pants great for giving kicks and knees. The Booster TBT-11 thai boxing shorts are made from 100% satin for comfort. The soft material ensures that the pants do not rub during training. The Booster thai boxing shorts takes little moisture and dries quickly. Furthermore, the thaiboxing shorts have a wide elastic band around the waist and have wide legs that make these pants great for giving kicks and knees. The Booster TBT-12 thai boxing shorts are made from 100% satin for comfort. The soft material ensures that the pants do not rub during training. The Booster thai boxing shorts takes little moisture and dries quickly. Furthermore, the thaiboxing shorts have a wide elastic band around the waist and have wide legs that make these pants great for giving kicks and knees. The Booster TBT-13 thai boxing shorts are made from 100% satin for comfort. The soft material ensures that the pants do not rub during training. The Booster thai boxing shorts takes little moisture and dries quickly. Furthermore, the thaiboxing shorts have a wide elastic band around the waist and have wide legs that make these pants great for giving kicks and knees. The Booster TBT-14 thai boxing shorts are made from 100% satin for comfort. The soft material ensures that the pants do not rub during training. The Booster thai boxing shorts takes little moisture and dries quickly. Furthermore, the thaiboxing shorts have a wide elastic band around the waist and have wide legs that make these pants great for giving kicks and knees. 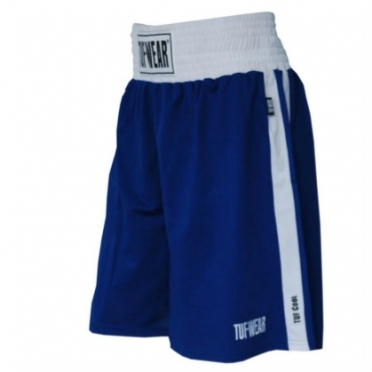 The Booster TBT-16 thai boxing shorts are made from 100% satin for comfort. The soft material ensures that the pants do not rub during training. The Booster thai boxing shorts takes little moisture and dries quickly. Furthermore, the thaiboxing shorts have a wide elastic band around the waist and have wide legs that make these pants great for giving kicks and knees. The Booster TBT-17 thai boxing shorts are made from 100% satin for comfort. The soft material ensures that the pants do not rub during training. 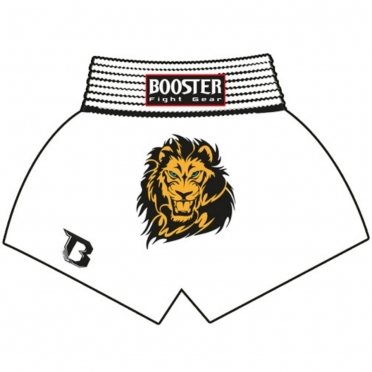 The Booster thai boxing shorts takes little moisture and dries quickly. Furthermore, the thaiboxing shorts have a wide elastic band around the waist and have wide legs that make these pants great for giving kicks and knees. The Booster TBT-18 thai boxing shorts are made from 100% satin for comfort. The soft material ensures that the pants do not rub during training. The Booster thai boxing shorts takes little moisture and dries quickly. Furthermore, the thaiboxing shorts have a wide elastic band around the waist and have wide legs that make these pants great for giving kicks and knees. The Booster TBT-19 thai boxing shorts are made from 100% satin for comfort. The soft material ensures that the pants do not rub during training. The Booster thai boxing shorts takes little moisture and dries quickly. Furthermore, the thaiboxing shorts have a wide elastic band around the waist and have wide legs that make these pants great for giving kicks and knees. The Booster TBT-21 thai boxing shorts are made from 100% satin for comfort. The soft material ensures that the pants do not rub during training. The Booster thai boxing shorts takes little moisture and dries quickly. Furthermore, the thaiboxing shorts have a wide elastic band around the waist and have wide legs that make these pants great for giving kicks and knees. The Booster TBT-M1 thai boxing shorts are made from 100% satin for comfort. The soft material ensures that the pants do not rub during training. The Booster thai boxing shorts takes little moisture and dries quickly. Furthermore, the thaiboxing shorts have a wide elastic band around the waist and have wide legs that make these pants great for giving kicks and knees.